Interested in Off Grid and like to know more? We’re proud to introduce Power Station, our new brand offering a full range of off-grid power systems from our Tiny Home package right through to large commercial and agricultural applications. Our Off Grid eBook answers the common questions and is packed with helpful information so you can make informed decisions. 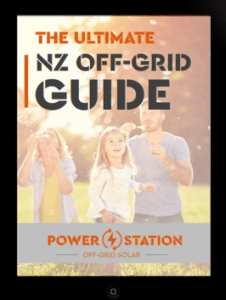 What’s included in our Off Grid eBook? Simply complete the form below and you'll be able to download our FREE Off Grid eBook immediately. If you have any questions in the interim, please feel free to give the friendly team at SolarKing a call on 0508 765 276.